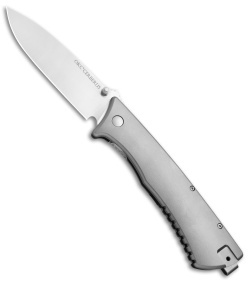 D2 blade steel provides top-notch resilience and edge retention. Jimping on the thumb ramp offers enhanced blade control. 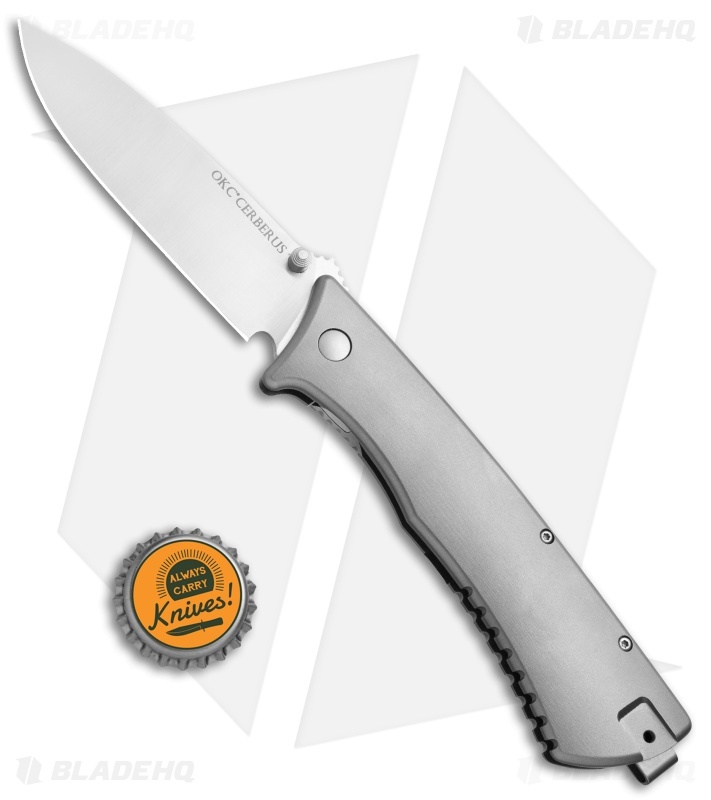 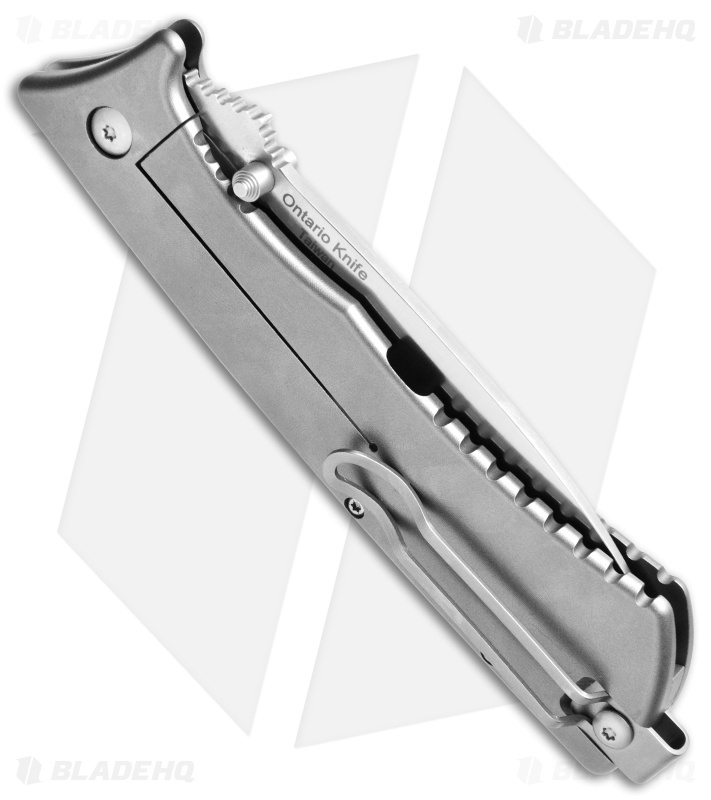 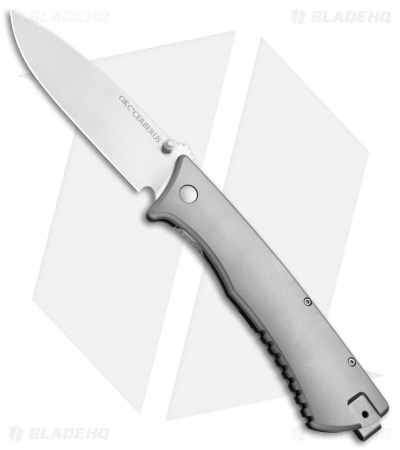 Titanium frame lock handle offers a comfortable, durable, and secure grip. This knife is bigger than you think. 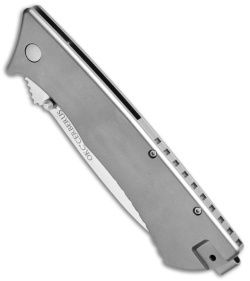 Slices very well, and deep carry pocket clip makes it disappear into the pocket. Takes a little bit to work in, but is very smooth when you get it set.